Hello Lovelies, how is everyone? I know most of you have been back to work today so i hope it wasnt to awful! As some of you may or may not know im actually stuck at home and have been the past 6 months! Im so bored sat in and id love to go back to work. Im waiting on my 2nd knee operation but the hospitals have messed up so many appointments its taking much longer than i thought. I have now been referred to Wrightington hospital in Wigan which is an hour drive from where i live but it means i get to see a knee specialist so after this operation i shouldn't have anymore problems. So 2014 for me wasn't the best of years but this year im hoping to get my knee sorted and finally move on. I know everyone is doing this post of their most loved products of 2014 but i had to do one. I love reading posts like these so i hope you enjoy! First time using a serum and i love how it feels on my skin and it has definitely helped my skin. This is amazing for oily skin and such a good price! Rimmel also do one for other skin types. This is my 3rd time buying this and i love it. Its a peachy toned primer which definitely reduces pores. It is expensive but it honestly lasts me around 3 months! A tiny bit goes a very long way. I also use this to highlight as i got a lighter shade than my foundation. It is also full coverage. If you want a full coverage light weight foundation then this is it! Its the most full coverage one iv found yet. Iv never been so impressed by a foundation before. I love that this can be used on its own or as a powder. I find it gives me that flawless look! AMAZING! This has helped control my oily skin so much. I carry this in my bag and touch up when needed. The bronzer in this has become my favourite lately. Its not dark and it is matte which i love. This is a Too Faced Dupe and a amazing one at that. Its a subtle blush which looks so pretty. Iv found myself reaching for this most days its a coral shade but has a warm tone to it and yes it is only a £1! I know superdrug also sell these. I mentioned the bronzer above but i also had to mention the blush. It is a dark pinky shade which looks stunning when applied, i cant get enough of it. I love this as you get a wax, powder & highlighter. The highlighter isnt the best but the wax and powder i use on a daily basis. Really pigmented and gorgeous shades. 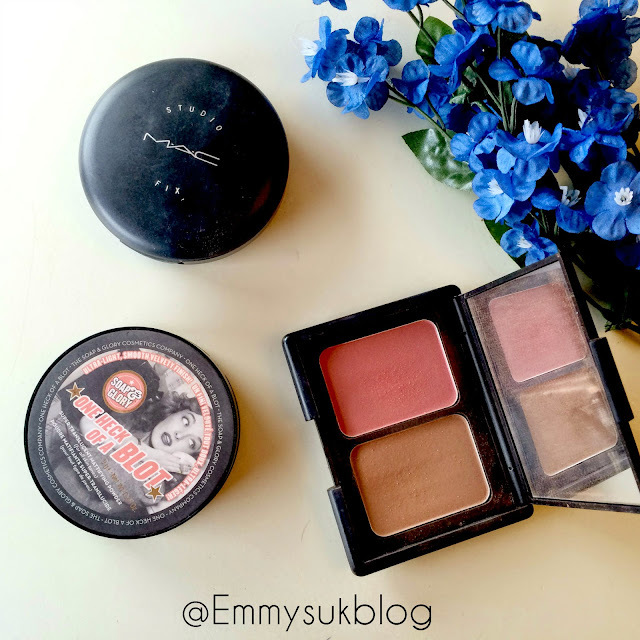 I reviewed & swatched this shadow and two others, click the link below. My soul mate! Iv struggled to get long thick lashes as i used to wear false ones everyday which ruined my own. 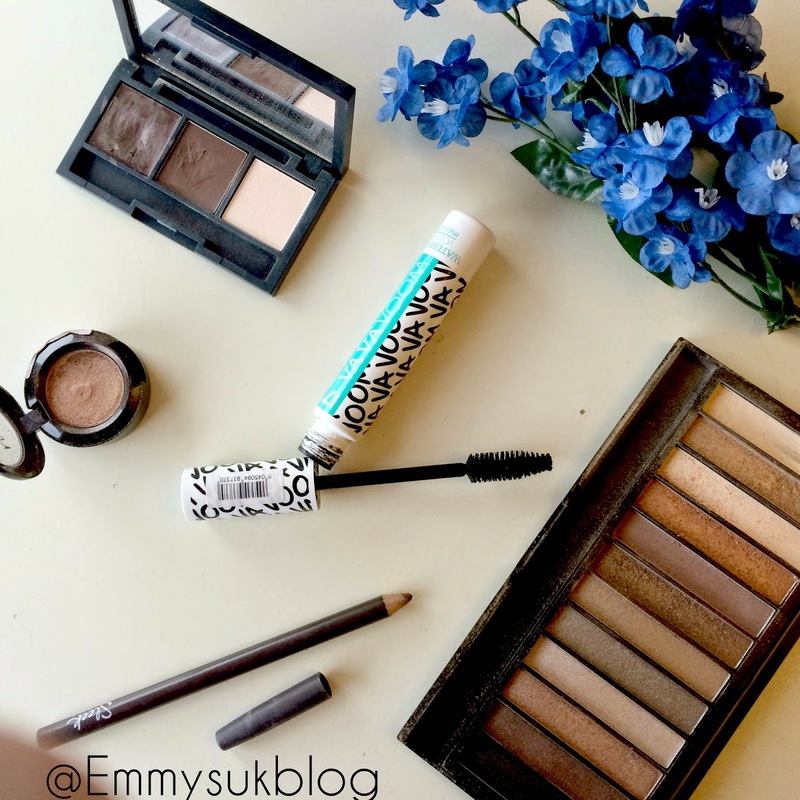 This mascara definitely thickens my own! I find some pencils just dont do the job you want. This pencil applies easily and you dont have to press hard or keep going over the same spot. Iv reached for this nearly everyday since i purchased it. The shades are gorgeous. 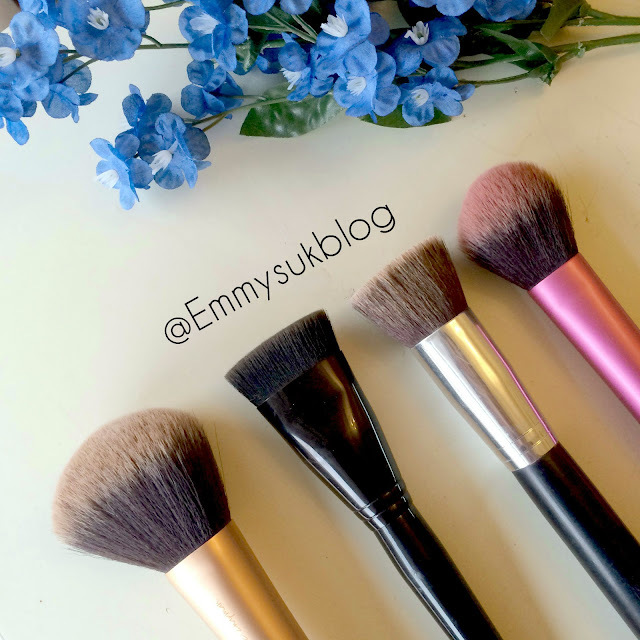 Since using this i wont be changing to any other powder brush. Its big which i like and it picks up product really well. This is an amazing dupe for Nars Contour Brush its so soft and feels so much more expensive. Worth a buy. Iv mentioned this brush before. I got the set from ebay about a year ago and recently seen everyone is now buying them! They feel so high quality. I use this for my blusher everyday, its the perfect size. I loveee Soap & Glory's makeup range, their Brow Archery is a total lifesaver and I really need to get hold of the Solar Powder! 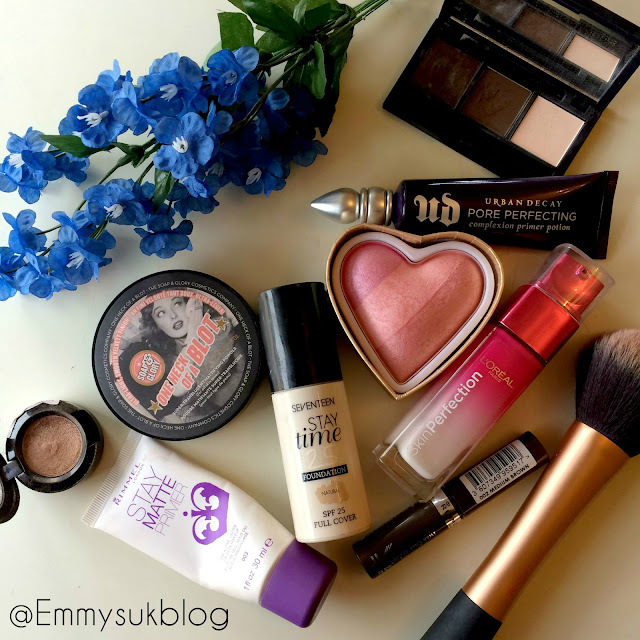 Loooove so many of these products! I want to try Soap & Glory as I have heard so many good things about them. I will have to check some of these out! I have tried the seventeen foundation and I just found it way too heavy for me! Such a shame as I really wanted to like it and I actually really love the lid it has! I love reading these types of posts too, nice to see your picks! I love that RT powder brush too - it's so big and fluffy! 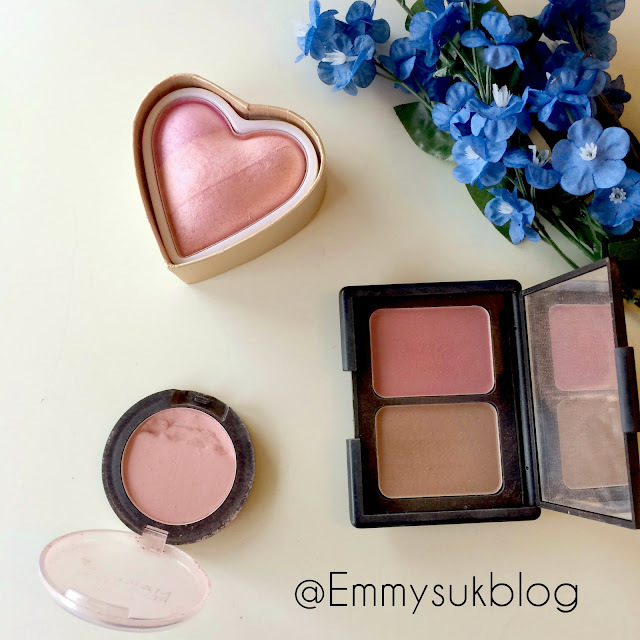 So many lovely products, how cute is that heart blusher! MAC pro longewear concealer is my must have! one of the best I've ever tried. Also Real Techniques brushes are so worth it! Kisses!